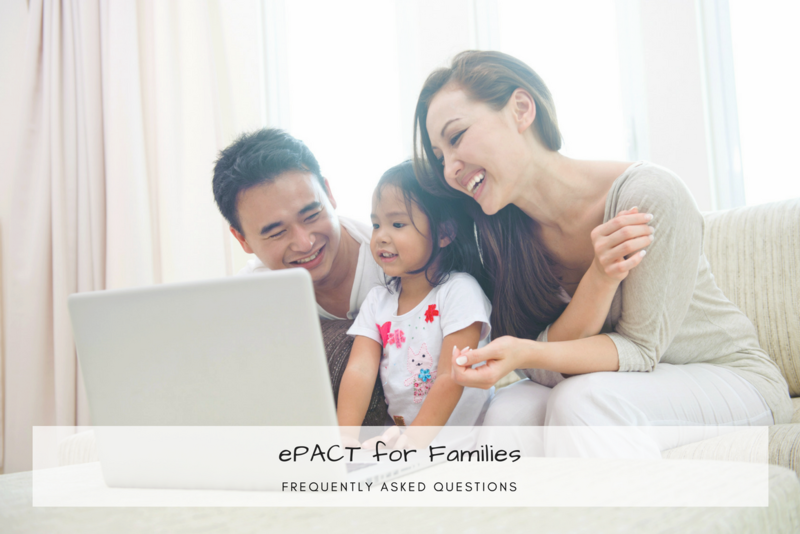 Wondering how families use ePACT or how ePACT supports you and your loved ones in an emergency? Keep reading for answers to our most frequently asked questions from families. ePACT is your emergency network, allowing you to securely store all your important information online. You then build support networks for your family by connecting and sharing your ePACT record with friends, relatives and organizations who support you. Whether it’s your kids’ summer camp, sports teams, preschool or daycare, ePACT helps organizations better manage your critical information. ePACT ensures the organizations you rely on have secure access to medical concerns and requirements for your family, as well as contact details for you and your support people, like your nanny, sister or grandparents, so they can always reach the right people at the right time. ePACT deals with very sensitive and confidential information, therefore the privacy and security of this data is our number one priority. The security of ePACT is modeled after the security standards required for online banks, and in some cases ePACT exceeds those standards. As a company, ePACT is also FOIPPA (Freedom of Information and Protection of Privacy Act), PIPEDA (Personal Information Protection and Electronic Documents Act) and HIPAA (Health Insurance Portability & Accountability Act) compliant. Families always own their account and the information in it, so you are always in control of the organizations and emergency contacts that you share your information with. ePACT will never sell a user’s information, access or use account holder data for promotional purposes, or share it without the user’s permission. How easy is it to create an ePACT record and include the right information? Enter the required information, like medical conditions, and share it with your organization so that program staff have access. Do families have to fill out information every program or year? No! ePACT makes it easy for families, because you only input your information once and it can then be shared with all your connected organizations program-after-program, and year-after-year. If information changes at any time, you can update it in one place, and it will automatically be updated across all organizations you have shared your record with. What type of information does ePACT collect? Organizations use ePACT to collect the same information that they previously collected on paper forms. This ranges from medical information, like allergies, health conditions and medications, to contact details for guardians and emergency contacts. Many organizations also use ePACT to collect consents and waivers, such as a release of liability, and specific files, like immunization records. Who can access family information in ePACT? ePACT provides organizations with different administrator privileges to protect information and enhance privacy. For example, front line staff, supervisors and administrators can be assigned to view records for all members or just the ones they are responsible for (e.g. a camp manager can only see the campers for a specific session or location).